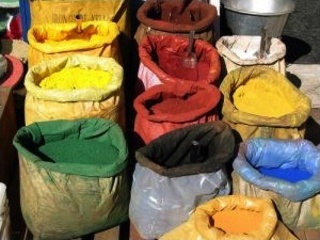 Decorative paints with high lead levels are still being sold in Sri Lanka even after the legislation passed by the Consumer Affairs Authority came into force at the beginning of 2013. Thanks to a campaign conducted by the Centre for Environmental Justice (CEJ) since 1st January 2013 Sri Lanka has mandatory standards for lead in decorative paint. The Consumer Affairs Authority (CAA) gazetted this regulation in Gazette Extra Ordinary No 1725/30 on 30th of September 2011. This was the result of the Supreme Court case filed by the Centre for Environmental Justice in 2011. CAA brought a subsequent gazette in 2014 requesting the lead level to be printed on the paint label. In 2013, CEJ analyzed decorative paints as a part of the Asian Lead Paint Elimination Project, a project funded by the European Union and conducted in collaboration with IPEN, to verify the changement after the regulation has been in effect. Key findings from the report show that more than half (8 out of 15 brands or 53%) of the enamel paint samples analyzed contained lead concentrations above 600 parts per million (ppm), the legal limit for lead in paints permitted to be sold in Sri Lanka. Dangerously high lead levels of 72,000 ppm were found in one red colour paint sample. Among the analyzed brands, one paint brand, which claimed to be lead-free on the label, contained more than 600 ppm lead. The research also revealed that seven (88%) out of the eight enamel paint samples manufactured after the mandatory regulation took effect on January 1, 2013 contained lead levels below 600 ppm. Six of the 8 paints (40%) manufactured after January 1, 2013, contained lead levels below 90 ppm. Following the statement by Hemantha Withanage, Director of Centre for Environmental Justice “The analysis clearly demonstrates that producing paint with low lead levels is possible within Sri Lanka, and that the new regulation limiting lead in paint is having an impact. Elimination of lead in paint is an important issue, the presence of which impairs learning abilities. The effects of low level lead exposure on children are lifelong and irreversible. This is a matter that concerns us all and for which prompt action needs to be taken in order to ensure that the regulation is respected in its entirety by all parties concerned including producers, consumers and consumer representative authorities”. While the regulations for lead in paint have been strengthened, consumers should pay attention and ask for lead free paint. An other recent study, 'Lead in Household Dust in Sri Lanka', released by CEJ, revealed that one or more dust samples at half of the 18 schools where samples were taken contained unsafe levels of lead. The study also reported that chipping leaded paint can contribute up to 600 micrograms per square foot of dust whereas, scientific studies reveal that 10 micrograms per square foot can contribute in blood lead levels harmful to the developing brain. Lead is much more harmful to children than adults and WHO has established that no blood level of lead is safe in children . For this reason The Centre for Environmental Justice (CEJ)/Friends of the Earth Sri Lanka, in commemoration of the International Lead Poisoning Prevention Week (October 2014), established Sri Lanka’s first Lead Safe pre-school. Lead safe paints will be used in every application within the preschool, including walls, floors and children’s play equipments. This building will be used as a model for other preschools and schools in the country as a first activity carried out under a project implemented through the EU-SWITCH programme . Project Details CEJ has conducted two major studies of lead in decorative paints sold in Sri Lanka. In 2010, CEJ, in collaboration with IPEN and the Indian NGO, Toxics Link, carried out a global scientific study Lead in New Decorative Paints. In that study, 69% of Sri Lankan decorative paints analysed were found to exceed the current standard of 600 ppm. The highest content of lead was 137,325 ppm, which is 228 times greater than the current Sri Lankan limit. Other The health impacts of long-term low level lead exposure in young children are lifelong, irreversible, and untreatable. Studies conducted over the last decades have shown harmful efects of lead at lower and lower blood lead levels, and no safe blood lead level in children has been identifed (Bellinger, 2008). As a result, the U.S. Centers for Disease Control and Prevention (CDC) and other authorities have concluded that there is no known acceptable blood lead exposure level for children (CDC, 2013). Evidence of reduced intelligence caused by childhood exposure to lead has led the World Health Organization (WHO) to list “lead caused mental retardation” as a recognized disease. WHO also lists it as one of the top ten diseases whose health burden among children is due to modifable environmental factors (Prüss-Üstün and Corvalán, 2006). Once lead enters a child’s body through ingestion or inhalation or across the placenta, it has the potential to damage a number of biological systems and pathways. The primary target is the central nervous system and the brain, but it can also afect the blood system, the kidneys and the skeleton. • A child’s brain undergoes very rapid growth, development and diferentiation and lead interferes with this process. For example, it has been shown that moderate blood lead exposure (5 to 40 μg/dL) during early childhood is connected to regionspecifc reductions in adult gray matter volume (Cecil, et al., 2008). • Exposure to lead early in life can re-program genes, which can lead to altered gene expression and an associated increased risk of disease later in life (WHO, 2010; Mazumdar, et al., 2012). • Gastrointestinal absorption of lead is enhanced in childhood. Up to 50 percent of ingested lead is absorbed by children, as compared with 10 percent in adults. Pregnant women may also absorb more ingested lead than other adults. In addition, children are more likely to have nutritional defciencies that lead to increased absorption of lead (WHO, 2010). Development of Alternatives The Centre for Environmental Justice filed a legal acrtion to Supreme Court in 2011 to have mandatory standards for lead in decorative paints. Thanks to this Consumer Affairs Authority (CAA) issued Gazette No 1725/30 on 30th of September 2011 regulating maximum permissible lead content in paints (90 ppm). This came to effect from 01st January 2013. Why? Explain briefly. Lead in paint is now regulated thanks to the petitons and campaigns carried on by Centre for Environmental Justices and other NGO's. However studies conducted in Sri Lanka show that many paints on the market overpass the legal limits. H. Withanage. The Story of lead free paint in Sri Lanka. IPEN, CEJ.